As the first meal post-American Wine & Food Festival, my family and I wanted something reliably good. 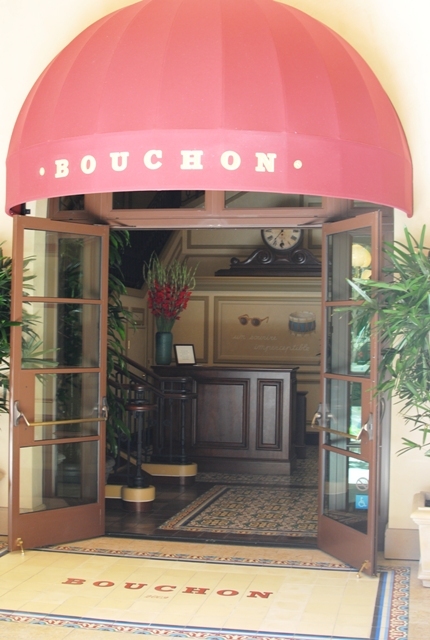 Enter Bouchon. Thomas Keller’s LA outpost serves some well-executed, comfortable French bistro fare. 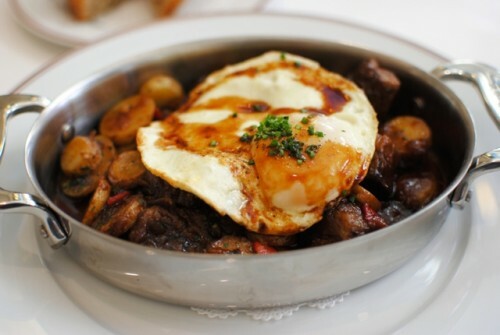 The brunch menu shares some of the popular dinner dishes, such as the steak frites, trout, and roast chicken, as well as some brunch-only items. Given our party of nine was mixed between Bouchon veterans and Bouchon newbies, the varied offerings would fit well. 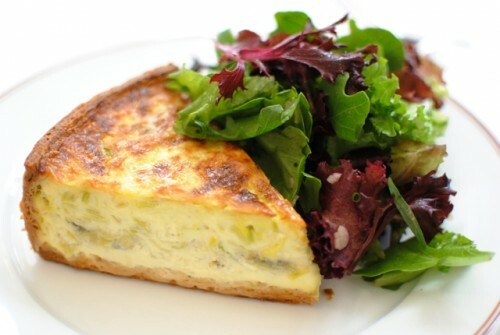 The quiche is so smooth, almost custard-like. The flavors of the leek and Roquefort shine through, and the blue cheese is not at all overpowering. This was a brunch-only dish, and it was a good one. The short ribs were tender and delicious. Roasted potatoes are combined with this dish to create a really hearty, almost stew-like dish. The caramelized onions and piquillo peppers added a little bit of sweetness, while the egg with its runny yolk (I love runny yolks!) engulfed the dish with its richness. This one sat pretty heavy in the stomach, but it was pretty easy going down. 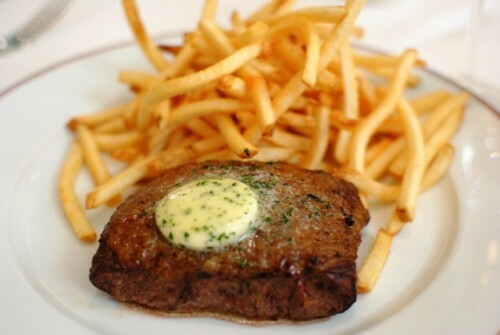 The classic bistro dish. The flatiron was extremely tender and had some pretty good flavor. The fries are consistently some of the best in the city, and you get a heaping pile here. Can’t go wrong ordering this dish. Stepping away from the “comfort” of the steak, we have a whole trout. It’s interesting that the head was kept on, as I don’t see that very often outside of Asian restaurants. 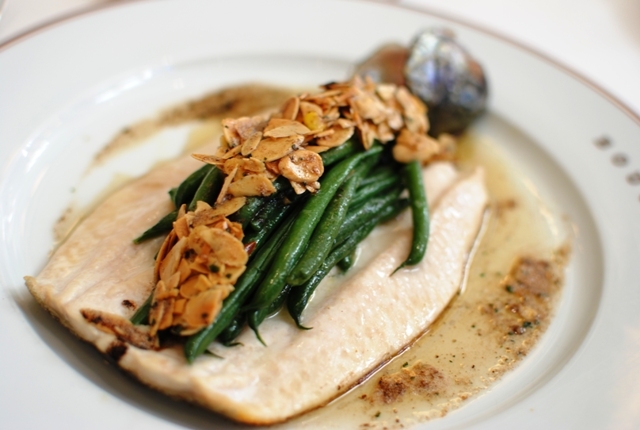 The fish was moist and cooked well, while the almonds and green beans rounded out the dish and lended some texture. Bouchon makes one hell of a roasted chicken. Exceedingly moist, the chicken has a lot of flavor as well. Combined with the chicken jus and a little bit of bacon flavor, and you’ve got an excellent dish. I recommend some fries for dipping into the chicken jus! Bouchon offers their full dessert menu during brunch. 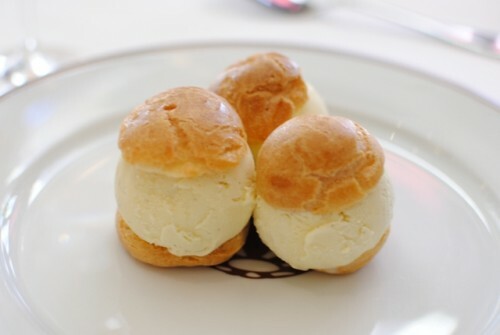 I had mentioned that the profiteroles was my favorite dessert here, so we got a few orders to share. The pastry is light and the vanilla ice cream is excellent. 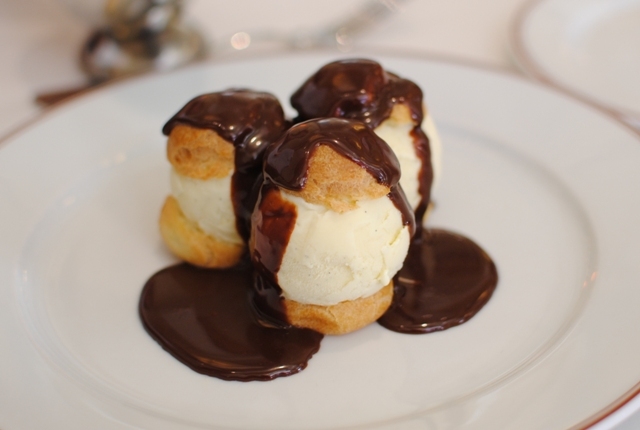 However, what separates these profiteroles apart is the Valrhona chocolate sauce. Rich, not overly sweet, and with a deep chocolate flavor, I love the vanilla-chocolate interplay. A simple dessert done very well. 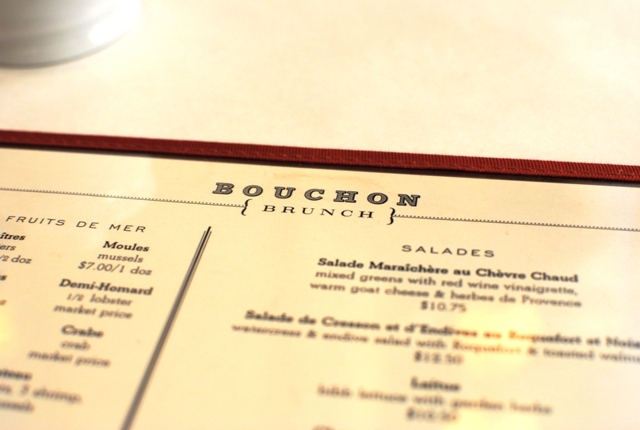 I always have a solid meal here, and Bouchon’s brunch menu did not disappoint. 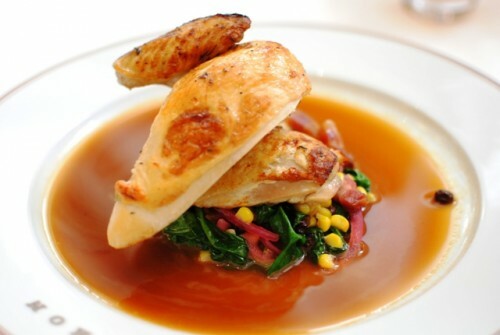 Combining some of the favorite menu items from dinner with some brunch items, the menu is appealing and approachable. Given the soaring windows and ample natural light, it’s a great place to spend a weekend morning or afternoon.